I am not a fan of Seth McFarlane's work. I know his shows and movies strike a chord with a lot of viewers out there, but I've never been able to get into anything he's produced. Anything he's done that I've tried to watch, from Family Guy to Ted (among others), have always felt like shambling, juvenile works that never can quite settle down their tone. There are great moments in each of his productions, but never a cohesive whole for me to enjoy. This is the reason why, for the longest time, I've avoided the Seth McFarlane produced (and star vehicle) The Orville at all costs. The early reviews of the show weren't exactly kind, and everything I read about it seemed to confirm that, for me, it'd be just another Seth McFarlane production. One more thing other people seemed to enjoy but that I just couldn't get into. After doing my long trek though Star TrekOriginally conceived as "Wagon Train in Space", Star Trek was released during the height of the Hollywood Western film and TV boom. 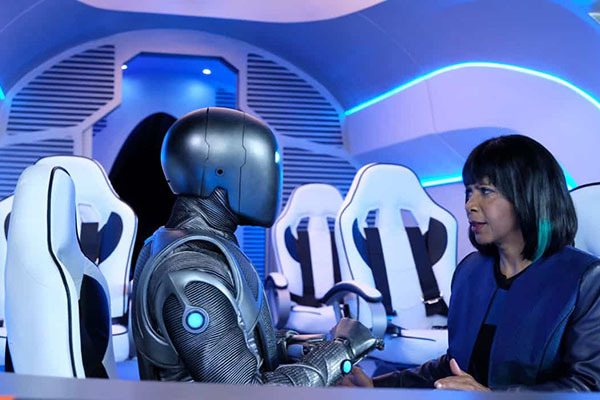 While the concept CBS originally asked for had a western vibe, it was the smart, intellectual stories set in a future utopia of science and exploration that proved vital to the series' long impact on popular culture., though, I did at least owe it to myself (and the show) to give The Orville a chance to win me over. Recently I sat down to watch the show and, despite all my misgivings, I found myself chewing through the series, binging the whole 12-episode first season in a quick weekend bout. Let's be clear: I enjoyed the show because it's very much a Star Trek show in all but name. When it hits that Trek sweet spot and finds a way to tell compelling, interesting, brainy stories about the future, I get fully invested in the series. That said, there are still problems with the show that are inherent to that single core flaw: Seth McFarlane. The series does start out pretty rough. We're introduced to Ed Mercer (Seth McFarlane), a commander on the rise in the Planetary Union. However, his life hits the skids after he finds his wife, Kelly (Adrianne Palicki) in bed with a a big, blue alien, Darulio (Rob Lowe). he then spends the next year in a funk, barely hanging on to his job. However, an opening for a captain on the U.S.S. Orville (ECV-197) comes available, and central command decides to give Mercer a chance. The newly-minted captain then gets to take his ship of odd-balls and rejects out into space to protect the Union and go on exciting adventures. From the outset, the The Orville is at war with itself. The show is designed to be a Star Trek series, right down to the "adventure of the week" plotting to go along with it's "almost Trek but not" setting and style. The Orville is so close to the original series that you could almost squint and see real Trek instead. It's even more indebted to the original Trek than Galaxy Quest, to the point where it doesn't play like a parody of Trek, but a derivative homage to the source material. The problem with the show, though, is that the Trek portions of the show don't merge well with McFarlane's own storytelling styles nor his humor. 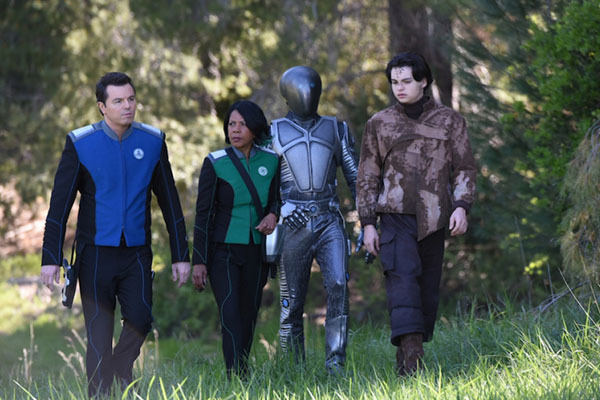 The Orville wants to be both a smart Star Trek show and a dumb stoner comedy, often at the same time, which creates tonal issues within episodes. This dynamic is most striking in the first three or so episodes before the writers manage to find a way to blend it better, to make a smoother version of the envisioned series. Honestly, the solution the show takes is to basically ditch McFarlane's worst impulses and commit to being more Trek than Family Guy. That's when the show really fires and becomes something worth binge-watching. It does its job well enough that it becomes a more compelling Trek show than the actually Star Trek series on the air right now, Discovery. Part of what I really like about the series is that it's willing to go in interesting directions for its various adventures. 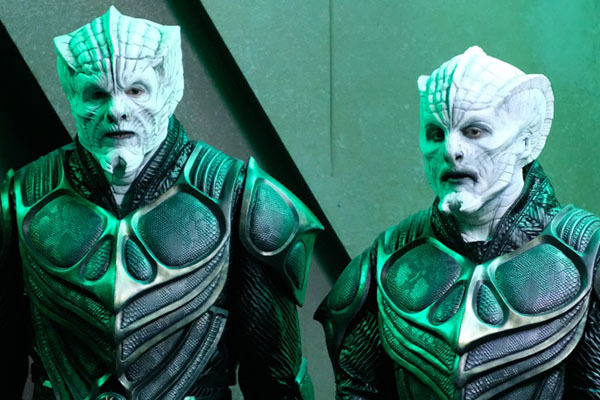 Some of them are well thought-out and mature, like an episode focusing on the alien Lieutenant Commander Bortus (Peter Macon), who had just laid an egg that then hatched into an infant, discovers that his new child is the wrong gender. His people are all male, but he now has a daughter, and this causes problems for him, his mate Klyden (Chad Coleman), and their whole society. The idea of a male officer laying an eggs is dumb and goofy, but the aftermath is treated with grace and thought and then leads to a deeply affecting episode about gender and free will. There's also the tale of an Earth-like planet that (essentially) uses social media for all of their governmental decisions. Literally there's no other kind of government, with all important decisions made via up-votes and down-votes. 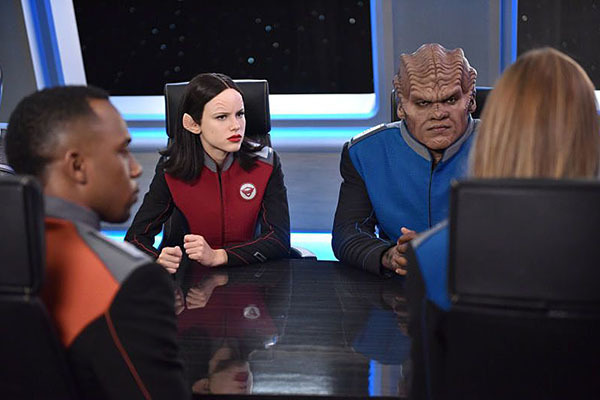 It's total, true democracy, which leads to problems with the crew of the Orville touches down on the planet and immediate causes a social media snafu. The episode starts as a simple riff on "what would happen if a society did X" and then quickly delved deep into the kinds of plots Twilight Zone and Outer Limits would tell. That's the show's greatest strength. 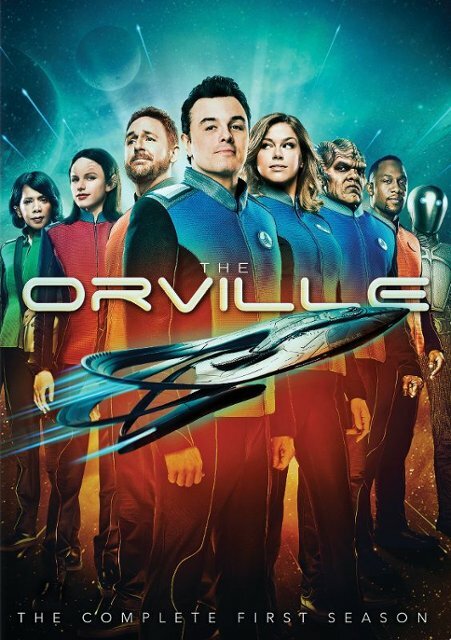 By not officially being a Star Trek production (effectively being everything but), The Orville has the freedom to explore new twists on the same formula, and to do so without being beholden to past continuity, past expectations, or corporate mandates about the long and hallowed brand. It has the creativity to give usu new riffs on Trek without all the baggage. The cast, too, is a credit to the show, with a lot of standout players. Bortus, who we've already touched upon, could easily be a dumb, goofy character, one-note (based on his race's single gender and their weird ticks). Instead, though, Macon gives him a kind of stolid warmth. He's a compelling character while remaining fairly alien. On that same front, the artificial life-form, Issac, is another alien character that becomes compelling despite his setup. He's essentially Data if Data had no desire to be human. And yet, despite the coldness of the character, the seeming desire to keep humans at arm's length, actor Mark Jackson turns Issac into an oddly compelling character, almost human but entirely not (and all this despite being in a full body suit with face-covering mask). There are so many good performers on this show, from Palicki's Commander Kelly Grayson (who really should be in charge of the ship instead of Captain Mercer), to the warm and intelligent Dr. Finn (Penny Johnson Jerald, a Deep Space Nine vet), and the tough but vulnerable Lieutenant Alara Kitan (Halston Sage). All these actors make for a cast of characters that you want to revisit time and again. But then we run into the McFarlane side of things, and that's where things get rough. Lt. Gordon Malloy (Scott Grimes) remains a one-note drunken stoner, Lt. Commander John LaMarr (J. Lee) remains a fairly lazy slacker, and the captain himself never seems qualified for the job at hand. These three all strike me as quintessential McFarlane characters (especially since the captain is played by the McFarlane), and the show constantly struggles to use them, to find anything compelling to do with this trio. The best episodes are the one where these characters are either forced out of their comfort zone (and made to do something), or are all but ignored entirely. Which then leaves me in a weird place about the series. I really enjoy so much about The Orville. I love how Star Trek it is and yet still hate Seth McFarlane's storytelling style so much. I love when it gives in to its best impulses and hate it every time it becomes just another McFarlane show. It can be so very good and yet so terrible, sometimes in the same scene. As the show progresses it gets better, but there are still moments that make me cringe. I want to recommend it, but the one thing the show needs to do to be the best version of itself it will never do. 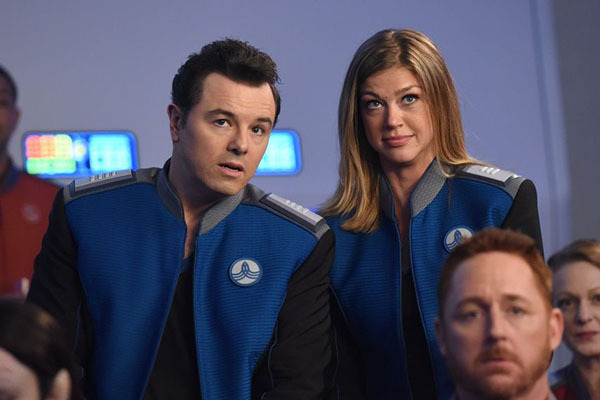 The Orville would be great if it'd just get rid of Seth McFarlane. Since that won't happen, though, I'll just continue trying to enjoy the show for what it is.